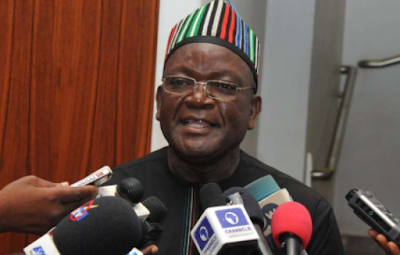 Governor Samuel Ortom of Benue State has accused the leadership of Miyetti Allah Kautal Hore, a group of Fulani cattle breeders in the country, for the strings of killings in the state. Mr. Ortom said he had informed President Muhammadu Buhari of the group’s role in the killing of dozens of people over the last one week, and had disclosed the location of the attackers. He spoke Tuesday after a meeting with the president in Abuja. “I had to brief him, he is also doing further investigation to know the next line of action. I believe that my request that the leadership of Miyetti Allah Kautal Hore, who had earlier threatened and I accused them directly, since June last year, I have been writing to the leadership of security agencies, that these people are a threat to our collective interest and they must be dealt with,” the governor told journalists after the meeting. His comments come amidst reports of continued attacks in the state. On Monday, two policemen were killed by herdsmen who had earlier exchanged gunfire with the police, Mr. Ortom said.